"Variation and Variables" are assembled with hundreds of marks made while listening to four compositions: Solo Violin by J.S. Bach, Messiaen’s Theme and Variations for Violin and Piano, and selections from Beethoven’s sublime Piano Sonata in E Major Op. 109. Each image is a combination of charcoal marks made as a reaction to the escalation and variations in notes, mathematical in nature, and when placed together brings forth a visual composition which visualises the dramatic atmosphere of the scores. "Variations and Variables" will be presented during a concert of the same name, celebrating the synergistic power of chamber music, creating an experience larger than the sum of its parts. 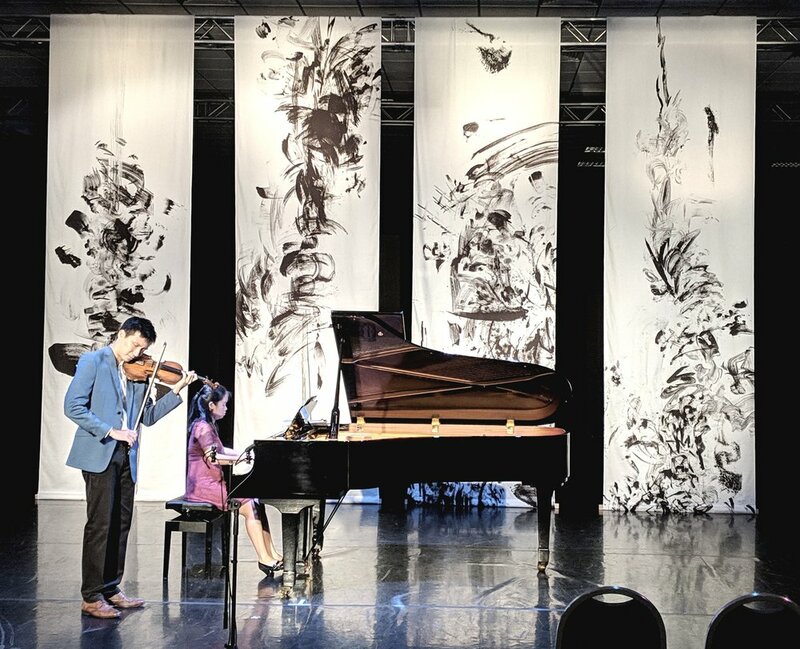 Singaporean pianist Abigail Sin and violinist Loh Jun Hong join forces to explore notions of evolution and transformation in music. Every twist of fate and every turn of the kaleidoscope reveals new emotional landscapes, leading one far away from home. What is certain is that one will be forever changed by these journeys of sound and image.